Welcome to the Alaska Dressage Association, a Group Member Organization (GMO) of the United States Dressage Federation’s Region 6. ADA is a non-profit association whose mission is to promote and encourage a high standard of dressage throughout the state of Alaska, primarily through educational programs, publications, events, and an awards program covering all USEF-Licensed/USDF-Recognized shows. Attention: All USEF Competing Members 18-years and older, must complete the required USEF SafeSport training. Additional information including who is required to take the SafeSport training, training deadlines, and instructions on how to access the training is available on the ADA SafeSport Training page. ADA Spring Meeting, Saturday, April 20th, 11:00 a.m. – 2:00 p.m.
2019 will mark ADA’s 38th year of holding licensed dressage shows in Anchorage each summer, as well as hosting schooling shows, clinics, and related events and providing technical support so that other show managers can include dressage classes in their shows. 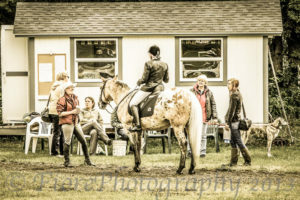 The Alaska Dressage Association is a non-profit 501(c)3 organization and donations are tax deductible.